Google Hangouts has got a new update on iOS that has brought a couple of really cool features. The top of the list is the ability to make phone calls and Google Voice support. And animated GIFs will now play in-line in chats. Phone calling was introduced to the Web app a few months ago, but this is the first time it’s coming to mobile. And since you can now make phone calls and it integrates with Google Voice, you can pretty much turn your iPod or iPad into a phone, as long as there’s Wi-Fi around. Outgoing calls will come from your Google Voice number, and incoming Voice calls can be answered from Google+ Hangouts. What’s more, calls made to the US and Canada are absolutely free, while international calls come with the same low rates as Google Voice. All you need is some calling credit and you’re good to go. On the messages front, animated GIFs will now play in-line, and you know what that means: time to keep these 5 reaction GIF sites 5 Reaction GIF Sites for When You Just Don't Know What to Say 5 Reaction GIF Sites for When You Just Don't Know What to Say Reaction GIFs are a crucial part of Internet communication that help provide emotion where mere text cannot. Many people may say that they are over-used and tacky. However, where punctuation can make the difference between... Read More bookmarked for easy reference! Also, incoming messages will now temporarily lower the volume of your music and then crank it back up. The iOS update also includes some of the features launched recently on Android. For starters, you can see green and grey icons next to profiles to know whether they’re reachable or not, respectively. Browsing contacts is easier with the new categories like People You Hangout With and Suggested People. Finally, you can hide a Hangout by pressing that person’s name and choosing the option. If you already have the Hangouts app, just update it. New users on iPod, iPhone or iPad can download the app from the App Store. 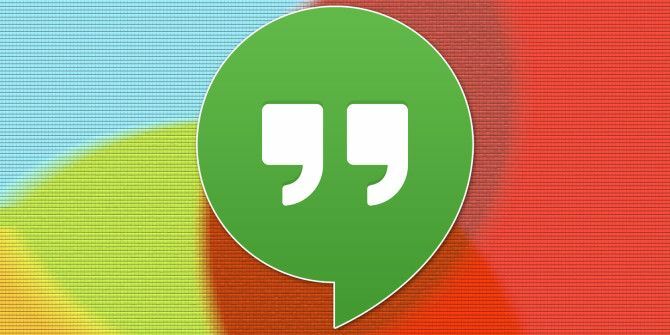 And don’t forget, there are plenty of other cool things you can do with Google Hangouts Get More Out Of Google+ Hangouts With These 5 Creative Ideas Get More Out Of Google+ Hangouts With These 5 Creative Ideas Google+ Hangouts are a pretty cool tool - one which we've put to good use here at MakeUseOf. Whether it's to hold editorial meetings or to host our own Podcast, Technophilia, we're big fans of... Read More . Google hangouts iOS update is good. However, Google hangouts is best suited for casual and social interactions. For business meetings or online conference calls, security is what everybody aims for, hence, tools such as webex, R-HUB web conferencing servers, gotomeeting etc. are preferred.